Players love the distressed, antiqued finish and old-style look of this Ozark mandolin, as well as the smooth powerful tone it delivers. 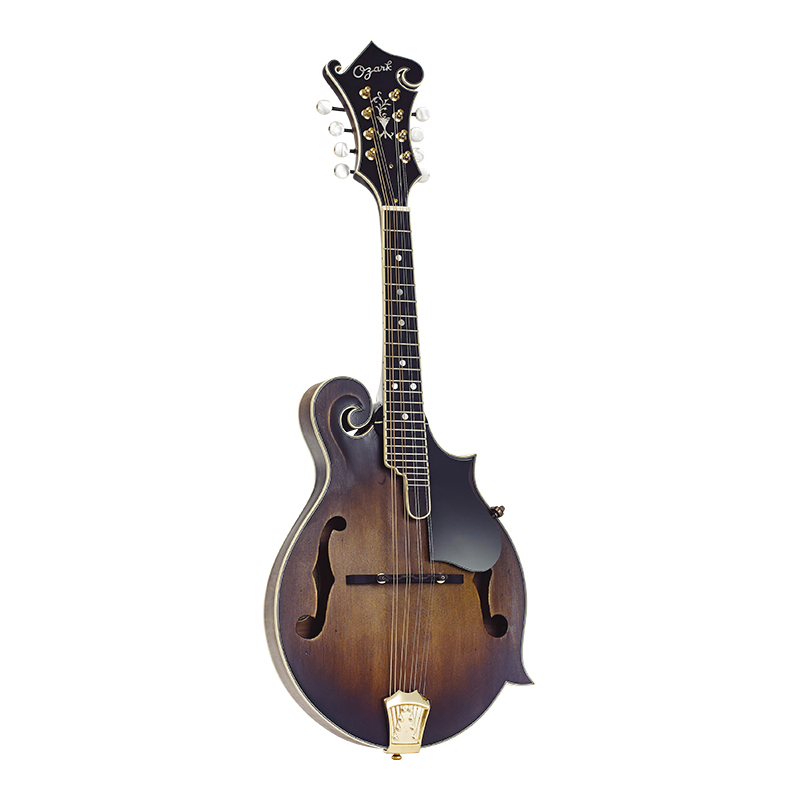 This Ozark 'F' model deluxe mandolin is hand carved with high quality workmanship and features a solid spruce top and solid maple back and sides. It is fitted with a rosewood fingerboard and adjustable rosewood bridge. Supplied in padded cover.